I believe everyone has the gift of self-expression. It just takes a little courage to put inspiration into a form. 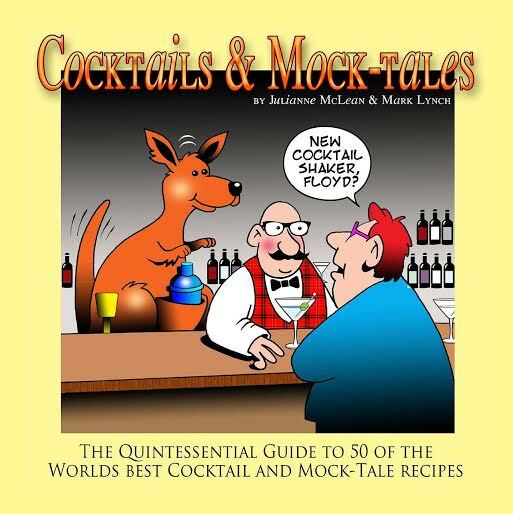 What was your inspiration for Cocktails and Mock-Tales? On a balmy summer’s evening in the historic and pretty German city of Leipzig this book was conceived. Here I was treated to the most sensational cocktail that I have ever tasted. It was so good, one could say it was “out of this world”. Master Cocktail Creator, Joerg Braun, told me that this cocktail was titled “Amadeus” after musician, Wolfgang Amadeus Mozart, and was one of his award winning cocktails. I tentatively asked for the recipe and Joerg graciously agreed, penning the ingredients on a paper napkin. A subsequent visit to the Mephisto bar and coffee lounge to sample their mock-tails deepened my resolve. Why not make these delicious recipes available to all? 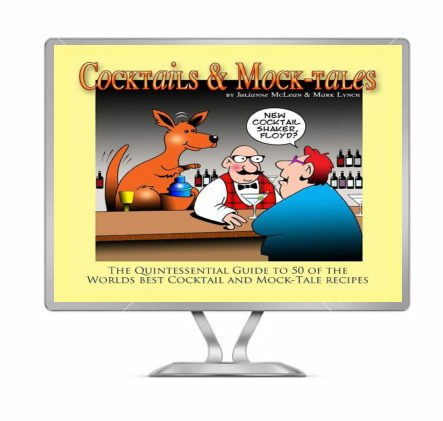 “Cocktails and Mock Tales” was born. The next step was to find an illustrator. 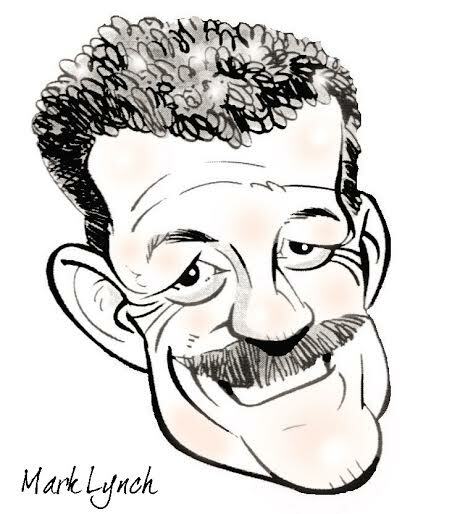 How could I overlook my old friend and colleague, Mark Lynch? Mark’s biting wit and satirical cartoons are surpassed by none. He, too, has won many prestigious awards for his cartoon works. Mark, fortunately for me, agreed to take on his part of the project. 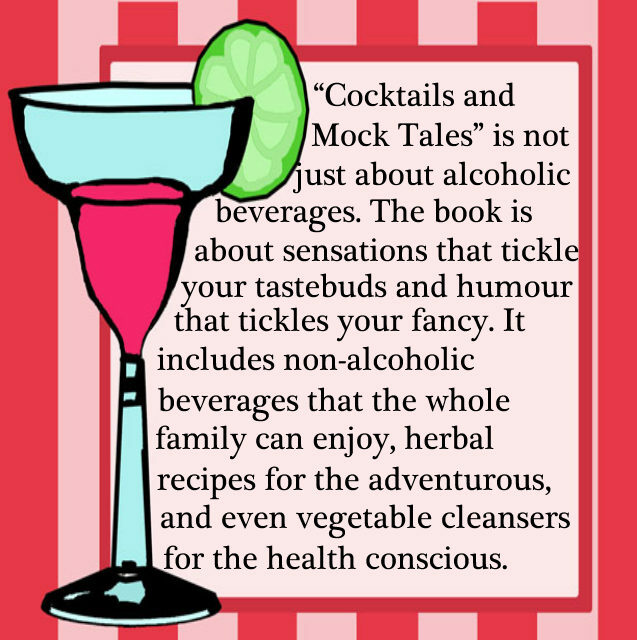 “Cocktails and Mock Tales” is not just about alcoholic beverages. The book is about sensations that tickle your tastebuds and humour that tickles your fancy. It includes non-alcoholic beverages that the whole family can enjoy , herbal recipes for the adventurous, and even vegetable cleansers for the health conscious. A percentage of this book’s royalties will go to organisations promoting the responsible consumption of alcohol. Humour and interesting information. You only have to see the cartoons to see how humour inspires me. About one year, which included research and culling cocktail recipes. Enjoying the inspiration and magic of creation. 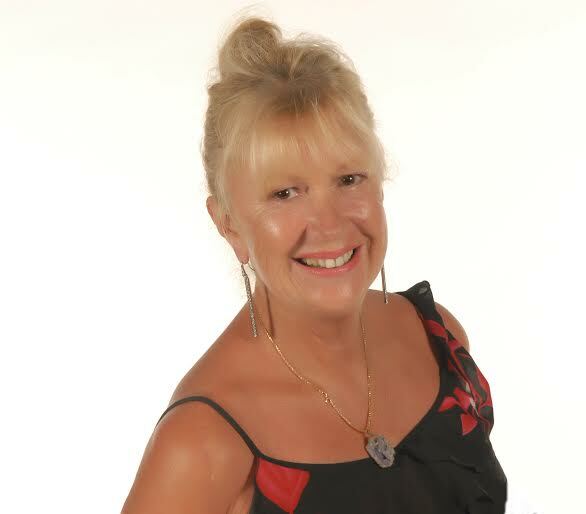 Interview with Tanya Masse, author of Stairway to AWESOMENESS! – 30 Fundamental Steps to Living a Life of Awesomeness! 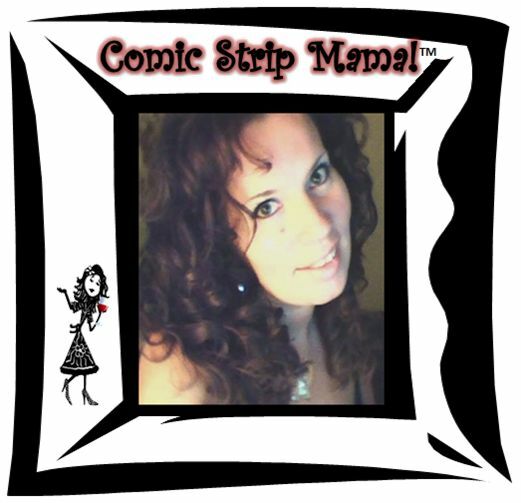 “Internet famous” for her humorous and inspirational self-syndicated webcomics about surviving the insanity of life and parenthood, Tanya Masse, AKA: “Comic Strip Mama” is a mama, a writer, a cartoonist and an entrepreneur who has faced a tremendous amount of adversity throughout the challenges of her life and has risen above it all! Enter the Comic Strip Mama™ Blog Tour of AWESOMENESS Extravaganza Giveaway for your chance to win some AWESOME prizes! Make the best of the busyness, craziness, chaos, frustrations and challenges of life and parenthood! Live on the AWESOME side! STOP taking life SO SERIOUSLY! Focus on the POSITIVE lessons! Q: Congratulations on the release of your latest book, Stairway to Awesomeness. What was your inspiration for it? A: Thank you! My life was the inspiration for this book! Life is HARD and it isn’t always fair. And sometimes, life is downright insane! I have experienced many of life’s seemingly insurmountable blows and for many years I struggled and lived a dark, disturbing, depressing, miserable and reckless existence as a result. Eventually, I discovered why I was struggling so much. That is when I changed my way of thinking and being and reinvented myself into the person that I am today…a strong, happy and positive person and parent who strives to achieve “awesomeness”. Too many people take life WAY too seriously instead of focusing on the positive, recognizing the blessings and fining the humor. This book is based on what I have lived and what I have learned about what is most important in life. A: It’s real, motivating and humorous with a unique comic cartoon twist. A: Once I am able to focus, writing is soothing and relaxing. I feel WAY more anxiety after I submit my work to be reviewed and critiqued! A: Success should never be measured in dollars and cents… it should be measured by life well spent. I am successful in life because I am a strong, positive, happy, awesome person who makes an effort to positively impact, empower and add value to the lives of others every chance I get. I am also successful because of my skills, knowledge, experience, my open mind and my ability to make good choices. I take great pride in all of it. A: I don’t agree. 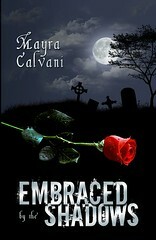 Writing my book was challenging, but it was an awesome and fulfilling experience. I feel a great sense of relief and pride knowing that others will learn from what I have lived and hopefully more people will make an effort to change their way of thinking and live a life of awesomeness! 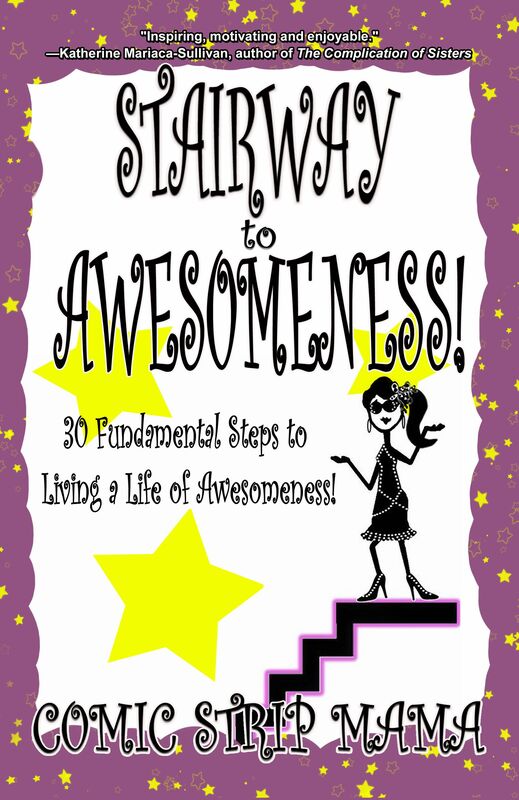 A: Stairway to Awesomeness is not your average self-improvement book. It is the ultimate self-improvement book that goes against the grain of many self-help/self-improvement books out there. I take my readers on my very real tragedy-to-triumph life journey and explain HOW and WHY I changed my way of thinking about many things that so many of us are conditioned to believe. The 30 fundamental steps that I write and illustrate about are tried and true and life changing and I prove that achieving a life of awesomeness IS possible. There is also a very unique and humorous comic twist throughout the book that will make you smile as you make your own climb to awesomeness! 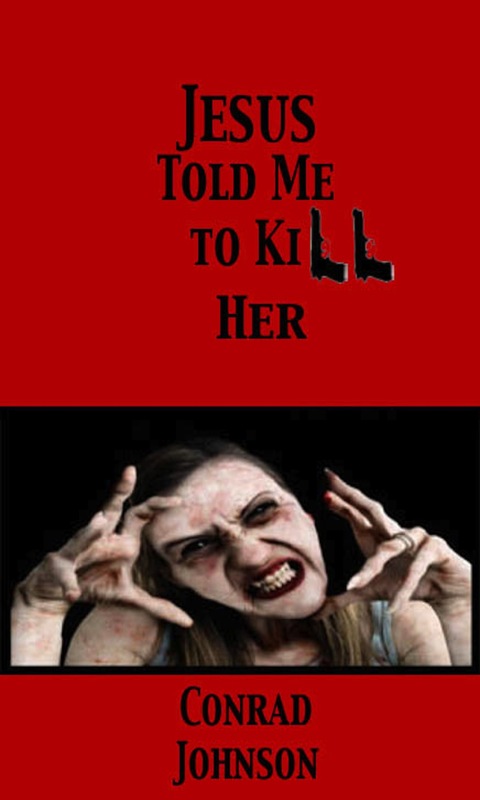 With all the hundreds of thousands of self published writers trying to find an agent or make a name for themselves in today’s rapidly changing book market, I thought it would be interesting to satirically comment on the situation and write a crime fiction novella on the topic. I’ve written four novels in the genre and, although some talented and successful writers who are friends of mine thought they were excellent, I haven’t yet reached that elusive ‘breakthrough’ status. Undaunted, I decided to write this book, streamlining my style and trying a minimalistic approach since the supply of words on the world is plentiful but the demands seems to be falling. Maybe it’s time for a novella renaissance? About the book: Struggling writer, Sam Uhl, unable to find a foothold in the traditional publishing industry for his work, decides to go to New York and hunt down the literary agent who he believes unfairly led him along. From the very first sentence to the last, the story is a contradiction of comedic horror that Sam narrates with pseudo-intellectual aplomb. Author’s bio: Conrad Johnson was born and raised in Detroit, Michigan where he escaped violence, poverty and despair by going to sea and studying literature. Now he writes about what he’s lived and learned. I was intrigued when I received a copy of this poetry chapbook for review. It isn’t the typical poetry book. The author, ‘Laughing’ Larry Berger, ‘wrote’ or improvised these poems onstage as part of an audience participation free verse sets at coffee houses in Los Angeles in 1996. It isn’t easy to write poetry, much less improvise it in front of an audience, which is why I was delighted to discover Berger’s wit, imagination, and flair for language. The verses, some as short as a few lines and some long enough for two pages, explore various subjects and themes, from fun and light to serious and transcendent. A good example of the author’s lighter poems is “Bubble Gum.” It catches a moment, a single snapshot of pure joy. sweet and tangy inside my mouth. releasing the rapture of the moment! are they really so different from you and me? all in steel and concrete coffins. In other poems, such as “Four Thousand Years Ago (The Crack Baby’s Prayer),” the author takes a philosophical look at life, presenting the reader with a grim picture of society, injustice, and the violence inflicted by humans throughout history. Berger uses the symbolic metaphor of rivers red with blood—this metaphor, by the way, is also recurrent in some of his other poems. Spreads her legs to the world. I’ve got to tell you! ROAD KILL NEVER TASTED SO GOOD! 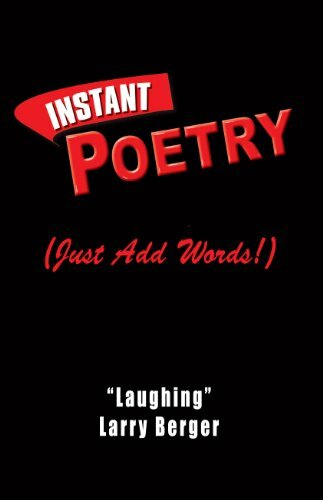 Instant Poetry (Just Add Words!) is a collection of forty-eight poems. I was surprised at the author’s creativity, good humor, and, at times, depth about the human condition. Some of these poems were performed on stage along the West Coast and New York and were created in interactive poetry readings. It is a unique and ingenious concept. I don’t read poetry often but I found Instant Poetry engaging and interesting. If you enjoy poetry and would like to try something different, I recommend you grab a copy of this book. David Pérez was born and raised in the South Bronx in New York City of parents of Puerto Rican descent. Growing up in the Millbrook Houses in the 1960s and navigating his way through Catholic school comprise much of the storyline for his memoir Wow! (11B Press, 2011). 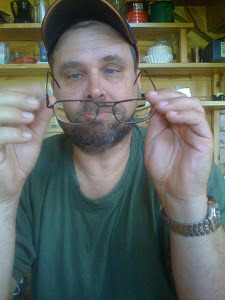 David has written hundreds of published articles for newspapers and magazines and is also a skilled editor. As an actor, he has appeared on stage, film and commercial print. He currently lives in Taos, New Mexico with his wife, poet Veronica Golos, and is the father of two adult children, Belinda and Jase. Thanks for this interview, David! Why don’t you start by telling us a bit about your latest book, and what inspired you to write it? Wow! 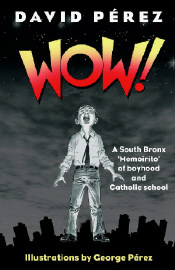 is a memoir of a smart, funny and somewhat naïve Puerto Rican boy (me) growing up in the South Bronx in the 1960s, living in the projects and navigating his way through a Catholic elementary school populated by a trio of desperadoes known as the Brothers of the Sacred Heart. Wow! is not the typical “boy grows up in ghetto, survives despite drugs and violence” story. This childhood reads like an adventure tale with David and his somewhat wacky friends: Julio’s constant queries in Religion class (“What if you only steal bubble gum?”), and Chino’s challenges to authority (“I ain’t afraid of no Brothers of any heart!”). David’s brother George is worried about junkies stealing boxes of potato chips in broad daylight. Mom loves the Funk &Wagnell’s Encyclopedia. Dad has just discovered credit. I called my book a “memoirito” because of its novella length (128 pages). Its episodic writing style also reminded me of the telenovelas that Latinos watch, or those popular pocket paperback novelas in Spanish with illustrations. Wow! has illustrations too, done by my brother George Pérez, an internationally acclaimed comic book artist. He drew the cover as well. As far as inspiration goes, I’ve always been a storyteller, whether as an activist journalist, writer or actor—and especially as a father. Seeing my kids become adults so quickly made me think of my own growing up, how cool it would be if I could capture each moment as if with a pause button. Reviewing my coming-of-age eventually resulted in my memoir. It was a little of both, actually. My process began several years ago at an Ashram in upstate New York. Reminiscing on what an eventful life I’ve had, I took out a little notepad and began jotting down names of family and childhood friends, names of streets in my neighborhood, memorable events like first dates, each entry only a few words long. I filled several pages and only got to high school! Months later I took an entry, for instance St. Luke’s or running track, and just free wrote whatever popped to mind. And that’s how Wow! sprang to life. Eventually, I made chapter outlines and began pulling the narrative together. Thus the writing became more structured, more focused, with intent. My book took about seven years to complete. I wrote it in spurts because there’s so much else in my life that I enjoy doing—spending time with family, going for hikes, acting in community theater, and other freelance writing and editing gig that I regularly get. So by necessity Wow! had to grow organically. My process also included sending sample chapters out to magazines, going to writing workshops for group critique (a must for all writers), and doing public readings, which I enjoy immensely. Prior to Wow!, my main writing had been journalism, which I still do. This is a field where you don’t have time for writer’s block. You have deadlines to meet, other assignments waiting to be done. Journalism also requires that you get to the point quickly and concisely, and that’s similar to all writing—at least it should be. That said, I did have moments with my book when I stared at a blank page for hours, or when I just couldn’t get beyond a first sentence. I struggle with beginnings a lot. It’s important, I feel, to draw the reader in quickly, to get them hooked into your story right off the bat. But since I had no deadlines beckoning, my writing blocks would kick in big time. In addition, this was about my life. Given my primary training, this was much harder to write than some article about another person or event. Plus I didn’t have a word limit; there was nothing I couldn’t write. I could follow my writing plan or chuck it all together—which I once did, only to find myself frantically combing my computer to retrieve my original chapter outline. No question: Wow! was a challenge to complete. It was fun, yes, but definitely a lesson in how to keep your eyes on the prize. Publishing has been interesting; I did tons of research about the various options. I started off by submitting directly to small and mid-sized presses, rather than seeking an agent. There are plenty of quality presses that don’t require an agent, Graywolf and Algonquin, for instance. Anyway, my manuscript was accepted by a small press two weeks after I submitted it; pretty incredible, I thought, and quite the confidence builder! Then I got other “we’re interested” bites from noteworthy presses. As I was deciding what to do, I met with my brother George at his home in Orlando, Florida to discuss the cover and interior illustrations. 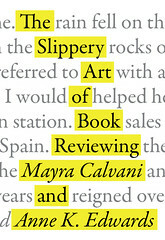 He wondered if I should just publish it myself to “make most of the money and maintain all artistic control.” It was an option I was also considering, especially since I wanted to keep the book’s price at $10, a hard thing for a traditional press to accept since they would make little money—and me even less. Soon afterwards, a friend of mine who’s into the film business discussed with me the idea of starting a press, and having Wow! be their launch book. As she put it, Wow! had cinematic elements well suited to the entertainment goals of her company, 11B Productions. We discussed terms and cemented a deal. Thus began 11B Press. I’m very pleased with my decision. In terms of advice, the main thing I can offer is that you should explore each and every possibility, and then find out what works for you. At the same time, keep yourself open to the unforeseen and the unexpected. Seek out other writers and immerse yourself in the creative community as much as possible; many doors can open that way. But all in all, keep things in balance. At a recent “21st Century Publishing” panel held in Taos, New Mexico (where I currently live), I emphasized that everyone has to seek his and her own journey. Why do you want to write? How important is a book to you, really? What other creative things give you pleasure? Everything boils down to being true to yourself. It sounds metaphysical but it’s true. I read many different types of books, and since I work part-time at Moby Dickens Bookshop in Taos (25 years in business as an independent bookstore) my reading list is totally out of control. I like books on politics and the economy (the more left the better), science fiction, humor, mystery, world history, science, new age, and memoir. Within this vast list of genres, authors I’ve enjoyed include Arthur Clarke, Chris Hedges, Michael Pollen, Graham Hancock, Elizabeth George, Naomi Klein, Vine Deloria, David Sedaris, and Michio Kaku. Recommended Taos authors include Summer Wood, Veronica Golos, John Nichols, and Frank Waters. Not every book I seek out to read is fun. Yet even when a book is difficult to read because it exposes realities like war and violence and suffering, I still get a keen sense of fulfillment in feeling my worldview expand, in simply knowing. I get a rush out of truth, and good writing always does that to me, no matter what its content. I only have a website, which is www.davidperezwow.com. 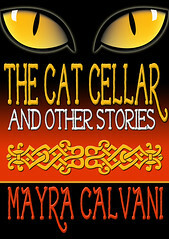 There you can hear audio clips from Wow!, find samples of my other writing, and learn of my editing experience, among other goodies. Do you have another novel on the works? Wow II—The High School Years! Thanks, David, and best wishes in your writing career! Click on the cover below to get your copy!